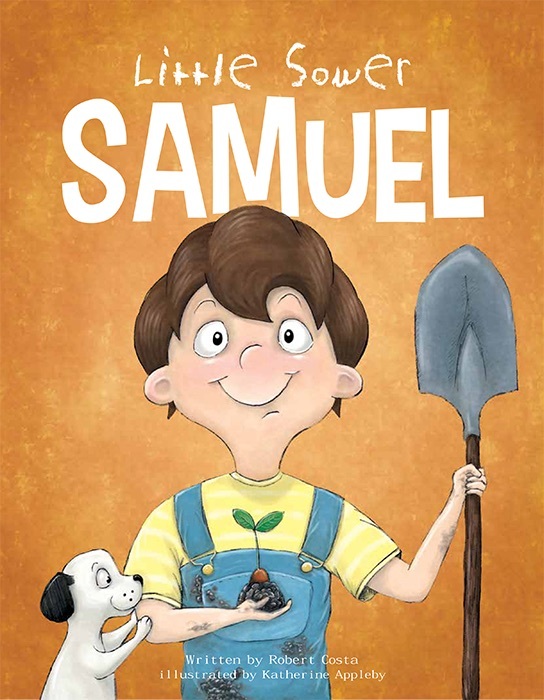 Little Sower Samuel loves to garden. When he looks around and sees that his city does not have enough of the greenness he loves, Samuel embarks on a mission of sharing, by giving seedlings and joy to all those around. The illustrations look gorgeous - congrats again Katherine!